Following the fiery success of his ‘Warpath’ LP, an immense package of tracks that identified how Maztek was still a mainstay producer within the darker soundscapes of drum & bass, Maztek is about to return. We’re only two months into 2019 and DJ/producer duo Wh0 have dropped a selection of cuts which show that this year will continue the success they’ve built in less than twelve months. 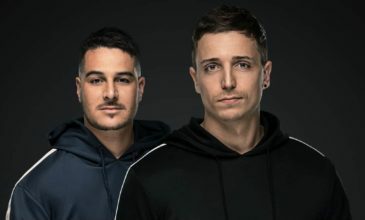 The name Matrix & Futurebound is synonymous with thoroughbred underground Drum and Bass that crosses the elusive divide to mainstream commercial success, translating to intimate club spaces and global festival audiences alike. D-Code and Psylence are brothers hailing from East London and since childhood, they were encouraged to musically pair with D-Code on breaks (tabla) and Psylence on keys (harmonium). Wh0 is an anonymous pair that is becoming one of the most notorious names within global DJ set lists. Tech house has had an incredible 2018! November has seen a host of brand new music hit stores, from the tech house genre’s leading tastemaker labels and artists.